This 50-minute workshop with pre-learning material will address the commonest problems leading to Can’t Intubate, Can’t Oxygenate (CICO) situations. The principles of the workshop are broadly based around the Vortex Approach, however, the Difficult Airway Society (DAS) guidelines and American Society of Anesthesiologists (ASA) airway management guidelines may also be considered as more detailed explanations of technical options during airway emergencies. The intended audience of the workshop is a broad range of critical care clinicians. 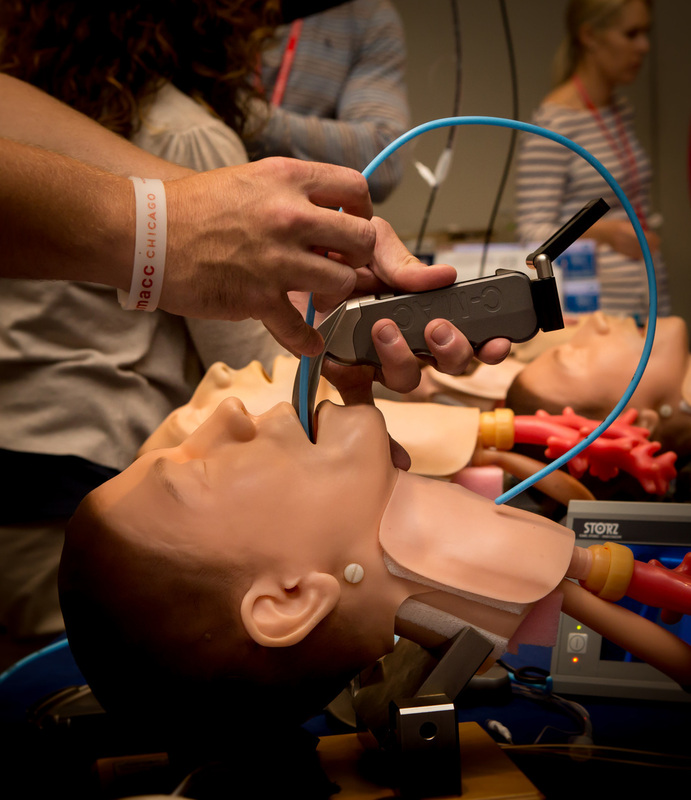 Ideally most, if not all, will have undertaken basic training in airway techniques and a structured program of experience. 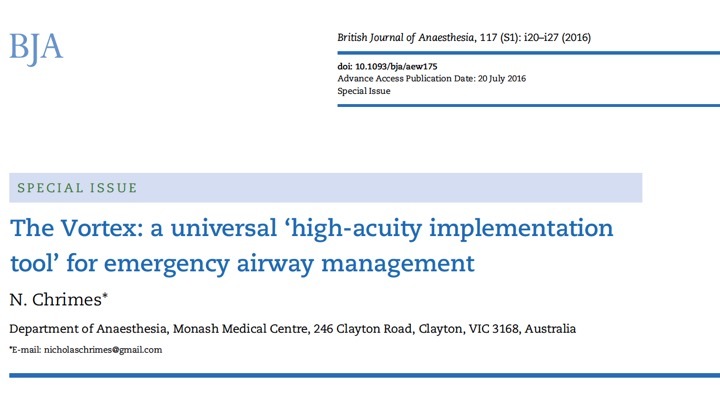 However, many might not have the opportunity to use airway management techniques on a regular basis. This workshop is primarily to outline a method of optimisation of key techniques to prevent CICO, but will discuss tricks, tips and some ‘green zone techniques’ that allow progression to an advanced plan after oxygenation has been achieved. Four stations are planned within the workshop, each taking 10-12 minutes. Consequently the number of learning outcomes for each station are limited to two or three. Describe the three methods of supraglottic oxygenation and how they can be used sequentially in airway emergencies. Demonstrate ideal head position, insertion of adjuncts, Different hand grips, the role of suction and muscle relaxants in bag-valve mask ventilation. Demonstrate methods of intubation when a supraglottic airway is already in situ using an Aintree catheter and fibreoptic scope. Again, which is the best video?